We welcome you to our town of Woodville, the county seat of Wilkinson County, tucked away in the Southwest corner of Mississippi near the river between Natchez and Baton Rouge. This website is the effort of a group of volunteers who have established the Wilkinson County Museum...which has two buildings on the court house square. The Office and Banking House of the West Feliciana Railroad Building was built in 1834 and is our main building. The Branch Banking House built earlier about 1819 is our African American Museum. The Woodville Civic Club Inc. was founded in 1971. These two buildings are only two of the many projects of the Woodville Civic Club Inc., our 501(c) (3) parent organization, during its forty years plus of existence. The Civic Club was the result of a meeting called together in September of 1971 by Mrs. Alice Ray Wall Thomas Farrar, a native of Woodville, a descendant of early settlers, and a spirited, community minded individual. There were lots of empty stores; business was bad, and the morale of our residents at an all-time low. It had a malaise that so many small towns across this country were suffering as the world seemed to shift and change so fast. That meeting in September of 1971 resulted in the formation of a group who saw themselves as an umbrella organization anxious to co-ordinate and work with all of the existing clubs, the churches, our government on all levels, and our business people with one goal in mind, and that goal was simply the betterment of this community. For two hundred years we have been a stable community as the county seat of Wilkinson County. You can see it in our architecture, in our way of life, and in our institutions. Woodvillians love their community and it shows. Our National Register District, our Journals of Wilkinson County History, our museums, our plantations, and our people all have a story to share. We want to share it with you. Please enjoy our website. Let us know what we might have missed or what we can find out for you. But most of all...please come visit us. 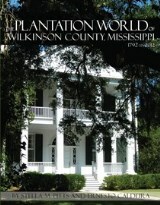 The Salisbury Collection tells the story of a Federal style plantation home, it's great style, and our early history. Bowling Green Plantation. Burned by Yankee troops in 1864. Home of Judge Edward McGehee who built the museum building in 1834 and started the rail road. The museum opening in October, 1991, marked the twentieth year of preservation efforts by the Woodville Civic Club. The building was acquired in 1971, a turn of events that established the Civic Club as the leading preservation organization in the county. The building which houses the museum was erected in 1834 as the office of the West Feliciana Railroad Company and is located on the southeast corner of the Courthouse Square in the Woodville Historic District. The West Feliciana Railroad was the third oldest railroad in America and was constructed by Judge Edward McGehee with the help of other Woodville financiers. Built to transport cotton from the county seat of Woodville to the river boats on the Mississippi at Bayou Sara, Louisiana, it was the first railroad to use standard gauge track and the first to adopt the use of the cattle guard. This railroad, which made its first run in 1842, was the first to issue and print freight tariff bills, and its home office in Woodville is thought to be the oldest of its kind in the nation. It was used by the railroad, latter the Illinois Central until 1919, when the government acquired the property for use as the United States Post Office. Interestingly, in those early days the postmaster and his family lived in the apartment with rooms upstairs, a gorgeous winding staircase in the north east corner, a large room to the rear of the first floor, and a kitchen in the dependency building...just as the bank presidents had done so in the early years of the railroad. After World War II a new post office was built and the building housed the county welfare department for many years until it was acquired by the Civic Club to prevent any chance of its being demolished. William Grant Still (1895-1978). This world famous composerwas born in Woodville. He was the first African-American to conduct a major orchestra in 1936 when he conducted the Los Angeles Symphony. The African American Museum was built as the Branch Banking House of the State of Mississippi and was a bank for many years. It has exceptional Federal millwork, mantels, and original wood graining. It was acquired by the Woodmen of the World after a fire in 1912 had destroyed a rear wing and the roof and attic of the main building. That fire was at the core of an embezzlement scandal wherein it had been hoped that evidence of the fraud might have been destroyed (see entry 119 of Volume III of The Journal of Wilkinson County History). A parapet wall was built on three sides and a flat roof was put on the building. For many years it was a barber shop and then after World War II it was the Woodville Public Library. The Civic Club acquired it in 1973 for $5000 to save it...and charmingly many years later those funds were returned three-fold by the Woodmen of the World as a donation for the matching funds needed for our MDAH grant. It was in bad shape. In the mid-1970's the rear brick wall and part of the east wall had to be rebuilt with custom made bricks to prevent it from falling. In the 1980's the roof rafters were raised and the gable ends were restored and a temporary roof was put on. In 2004 thanks to a Mississippi Department of Archives and History Grant the restoration was completed and the service dependency with bathrooms and storage facilities was built. Jefferson Davis is still recognized by almost all historians as one of the most remarkable and accomplished figures of 19th century American life. Rosemont was built by his mother and father when they settled here in 1810 brought by the lure of rich soils and a better life from Kentucky and Georgia where they had farmed for many years. They brought with them the younger children...the youngest of whom was Jefferson. He says of Rosemont, "It was here that my memories began." Rosemont has been open as an historic house museum since 1971. Camp Van Dorn, south of Centreville, was a hastily constructed war camp located in both Wilkinson and Amite Counties. It had a wartime population of 41,000 and the effect on this area was amazing. The World War II museum was initially a project of the Woodville Civic Club when the current downtown museum building was donated to us. After we had obtained a restoration grant, to stabilize the structure, through the Mississippi Department of Archives and History, because we are a certified 501(c)(3) organization, the bank building was donated to a newly formed local WWII Museum organization, a local Centreville group of volunteers. They have done a splendid job of restoring the structure and have successively created an award winning museum that opened in 2005. They are open Monday through Friday from 10am to 4pm, and on the 1st & 3rd Saturdays from 10am to 4pm. In 2004 The Main Street Market was opened as an antiques mall in the old Treppendahl Dry Goods store right on the court house square at the corner of Main Street and Royal Oak Street as a joint project of the Woodville Civic Club and the Main Street Association. It has been a great success and today houses over two dozen dealers with a very popular cafe that serves great soups, salads, and sandwiches all prepared to order. Besides antiques and collectibles the various dealers have many hand made items, local art objects, gift items, and specialty food items. We have almost all of our Civic Club publications available for sale there as well. One of the county's favorite spots is the old country store at Pond...about 19 miles down the road to Pinckneyville, where the road to Fort Adams branches off at the pond, which was once vital to the oxen who hauled wagons up and down mile high hill with cotton and provisions from the surrounding plantations to the steamboats. It has stood in rural Wilkinson County since just after the Civil War. It's part museum, part retail store--but with an attitude. The Pond Store was owned by a succession of Jewish families until Elizabeth Chaffin's dad bought it from Julius Lemkowitz in 1933...she is the current owner. Ask Elizabeth about the store, and an encyclopedia of old days and old ways comes pouring out. From the creaky door on Julius Lemkowitz's old safe to the "KAH-CHING" of the bell on a cash register that came down the Mississippi River in 1898--the Pond Store offers sights and sounds of bygone rural Mississippi. The Pond Store is open Friday, Saturday and for a half day on Sunday. Stop by and get a cold drink or an ice cream. Clark Creek Natural Area...the entrance is just across the road from the Pond Store. Clark Creek Natural Area and its famous waterfalls is one of the Magnolia State's most beautiful outdoor treasures. Take the day for a visit, aside from the absolute crush of the weekend crowds, you won't be sorry you went. Comprising more than 2,000 acres, this Natural Area's officially highlighted by some 40 waterfalls (though you'll find only 6 along established trails), ranging from 10 to more than 25 feet in height. Creation and protection of this fabulous area came about in 1978 from cooperation between the Mississippi Wildlife Heritage Committee, Wilkinson County, Judge David Bramlette, International Paper Co. and the Department of Wildlife, Fisheries and Parks. Clark Creek's steeply sloping hills host a mixed hardwood and pine forest dominated by beech and magnolia. Here, visitors discover a variety of colorful migrating and resident birds; invertebrates; poisonous snakes; a rare land snail; the federally endangered Carolina magnolia vine; a state endangered fish, the Southern red belly dace. This forested tract also provides excellent habitat for another threatened species in Mississippi -- the black bear. Twelve Years of My Life tells the story of her life in Woodville from 1854 to 1866. She was the daughter of Joseph Bentley the English educator. It is fascinating view of a southern town from the perspective of an educated businesswoman and mother during tumultuous times. Her husband was an engineer with the West Feliciana Rail Road. Published in 1887. A Business Woman's Journal continues the story. Her journal of her voyage from New Orleans back to England for a summer is packed with background material and is a major part of this volume. It's a great reading. It takes her back toWoodville and leaves you, the reader, wishing for more! Published in 1888. This oak was here when the court house square was laid out two hundred years ago. In 1938 it was named the Jefferson Davis Oak by the Live Oak Society which had been formed in 1934. It still has its brick sidewalk on all four sides. The square today is much as it was originally with the court house in the middle and surrounded by shops, lawyers and government offices, and banks. This is the third court house and was built in 1903. © 2007-2011 HistoricWoodville.com All rights reserved.